We have sprouts! Brian and I transplanted Max and his science fair project plants and planted a bunch of other stuff (cucumbers, tomatoes and wildflowers) last Saturday and this week, we have sprouts! We’re trying the little patio garden this year to see if we can keep it watered and actually get something out of it. I’m trying to go in with no expectations, but so far, it looks like we’ll at least get some cucumbers out of it! Next Post What’s Happened to the Boy Scouts? 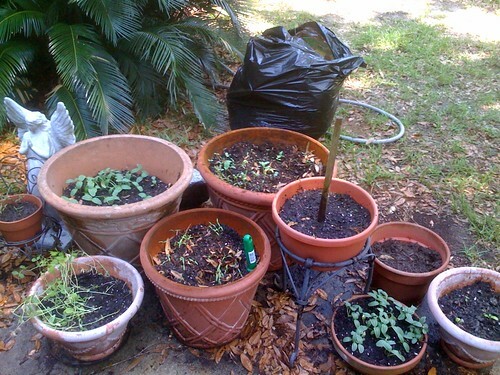 There is nothing more gratifying then planting a garden watching it grow and harvesting it. Well eating all the goodies is nice. Good luck and hang in there.